The traditional business model of “one size fits all” with an individual agency handling all client’s needs can be stifling to the client’s goals. BGG established the Global Magnet Partnership Program (GMPP) due to the rapid revolution of branding and marketing with needs extending beyond traditional business models for effective strategies that are local, regional & global. 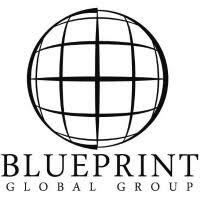 Blueprint Global Group maintains an agency model as a network of complementary , partner firms focused on unified business solutions to build brand equity and growth for the world’s leading brands and organizations. Our clients receive boutique-style attention, reinforced with the resources of global footprints of collaborating independent network agencies. Our unique value proposition lies our collaborative programs, systems, processes & resources. Regardless of geographical location, today’s brands attract attention from around the world, with global demand comes the need for increasingly sophisticated international marketing. Through our GMPP model, we can extend a talented team of dedicated professionals and access to a global network of 300+ affiliates and partners. With over five decades of combined experience, our international experienced team of consultants and partners are well-known industry “all- stars”. We offer countless traditional and new age solutions available through our magnet program. The GMPP model ensures there is no ceiling to our capabilities and our global reach to ensure our clients success. Our global partnerships provide our client with all the necessary resources for growth, scalability and global footprints. These opportunities would be cost-prohibitive for many clients of traditional access to participate in. Dr. Ky Dele M.S.Ed. , M.Psy. , D.H.L.